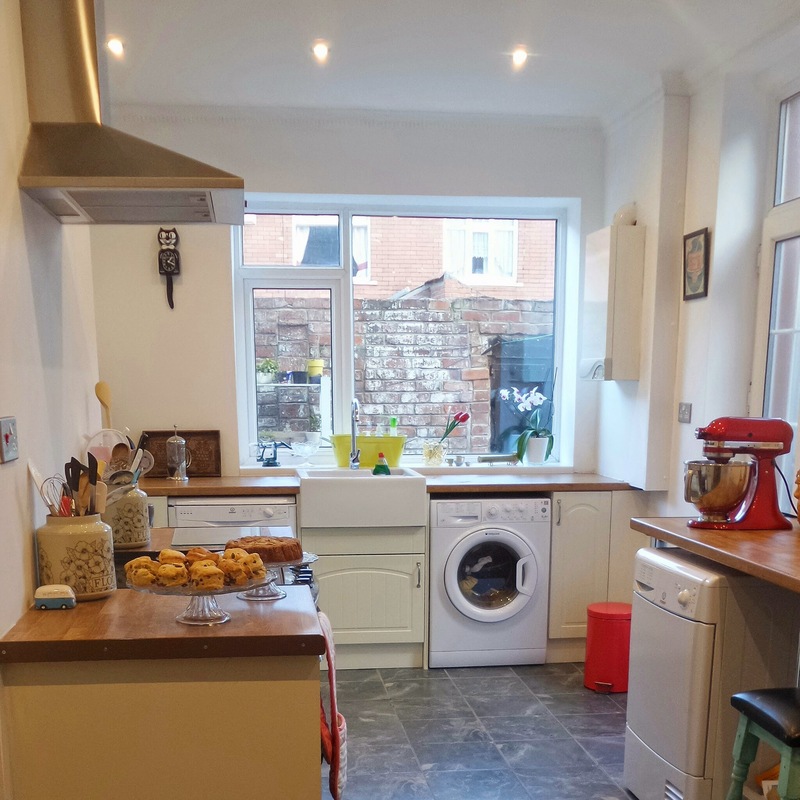 Having recently renovated our kitchen I’ve been daydreaming A LOT about what we would have in our kitchen if money was no object and when technology developments bring us some very exciting new gadgets. 10. American fridge freezer with ice and water dispenser. We had one on our travels in America and it was awesome. Ideally I’d love a smart fridge that can tell you when you’re running low on certain ingredients or even better automatically order for you and get them delivered to your door! Spending a lot of time in the kitchen I love listening to Spotify and the radio, especially BBC 6 music and Absolute 60s (Sunday morning Beatles Brunch is my must listen to show!) I love the vintage Roberts Radios and this one would look gorgeous in our kitchen. I’m saving up for this. One day I’ll get it! 8. Kitchenaid: I saved up for a long long time to be able to purchase my Candy Apple Kitchenaid. It’s definitely been worth the investment as I’ve used it more than any other gadget that I own. From making quick cakes to kneading and proving breads it really lightens the load. It means I can really go to town with my baking marathons. Whipping up 100 cupcakes in a couple of hours! I even splashed out on the ice cream maker attachment. It looks amazing on display in my work top too. 7. Kitchenaid Kitchenalia: The only problem with owning a Kitchenaid is that you then lust after the rest of the range to complete your collection! Of course I’d love the matching kettle, toaster, blender, and full accessory kit! It’s an expensive habit! 6. Hands free recipe reminder: There’s some amazing work going on locally at Newcastle University’s Culture Lab. They’ve developed the ‘Ambient Kitchen’ to help people with dementia to cook meals. It gives audio prompts along the way to help you finish cooking your meal. It’s also been used to help teach English as a foreign language too. I think this technology could be useful in a lot of kitchens including mine! I cook/bake a lot using online recipes on my touch screen phone. This means I end up with flour all over my phone (and camera if I’m blogging it too). Wouldn’t it be brilliant if your laptop/phone/tablet connected to your kitchen and talked you through the recipe? 5. Vita Mix: I’ve tried food processors and I’ve set fire to food processors. I’ve come to the conclusion that I need one that’s robust to do the job. This one from Lakeland sounds fantastic. It can even grind wheat to make fresh flour and vegetables to make hot soup. 4. 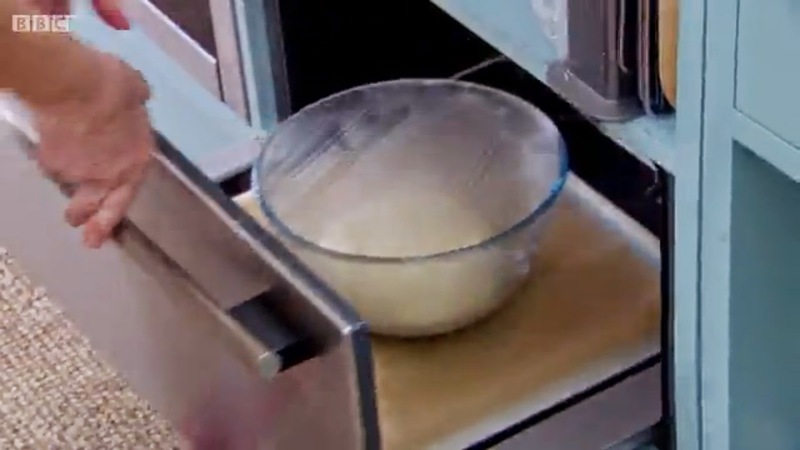 A proving drawer: Those of you who watch The Great British Bake Off will already be aware of the magic proving drawer. This would be an awesome addition to my kitchen helping to prove my bread quickly and evenly for that quick loaf. 3. Dishwasher Something that I just couldn’t be without in our kitchen. We inherited one with the house and it’s temperamental to say the least. I’m surprised and relieved that it’s lasted so long despite it’s cracked door! We always use the eco setting to save energy and load it up to the max too. Not sure what we’ll do when it finally gives up! 2. A range oven I love my new oven but in an ideal world I would knock back the chimney breast in the kitchen to make way for a full sized range oven. Ideally a Smeg or a Rangemaster oven as I don’t think I’ve got the know how for an Aga despite their beauty. 1. Technology that works together and is good for the environment: There’s so much available on the market and with the ever expanding ‘Internet of things’ appliances and apps can actually talk to each other to make life even easier in the kitchen and home. I’d love to be able to switch my oven on or off from my phone so my tea was ready and waiting for me when I arrive home! I bet in a few years we’ll all be texting our kettles on our way home! Legal and General produced an interesting blog on the kitchens of the future which inspired this post. You can read their full article here.